How to Create a Webcomic...That Actually Gets Noticed! Want to know how to create a webcomic…that actually gets noticed?! In this week’s interview, we speak to Fran Krause, creator of the famous ‘Deep Dark Fears’ web comic. You’ll hear how he went from an established career as an animation artist to making his first web comics. And, he’ll reveal why angry reactions to one of his projects on YouTube made him reconsider which online platforms were the best home for his creations. 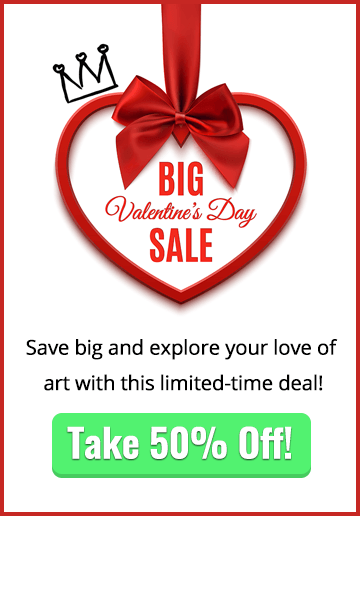 So, if you’ve been thinking about creating your own webcomic for a while (but just haven’t gotten around to it yet), then check out this inspiring podcast interview. Because it’s crammed with great advice on what to – and what not to – do to get your project off the ground and noticed by people. How to Create a Webcomic – Advice From Fran Krause. Your host, Mitch Bowler, introduces today’s guest, webcomic creator, Fran Krause. In this chapter, he talks about how studying animation led to him pursuing a career in this industry before moving into teaching digital animation and, of course, creating Deep Dark Fears. 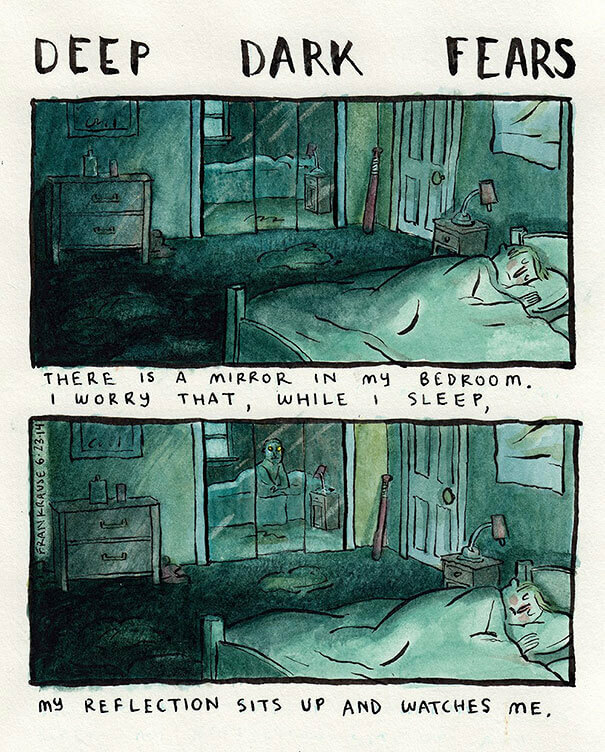 How did Deep Dark Fears Come About? Ironically, it was adverse reactions online to a project Fran was working on with American Elf creator, James Kochalka, that gave rise to Deep Dark Fears. The project, an adult-rated comic book series called ‘Super f**kers’, was intended as an irreverent take on superheroes and featured a bunch of rude, crude, slacker heroes who never actually did any of the things superheroes are supposed to do. However, the audience on YouTube didn’t quite get the humor. In fact, they hated it…like, really hated it…and wasted no time in filling the comments section with all kinds of abuse. 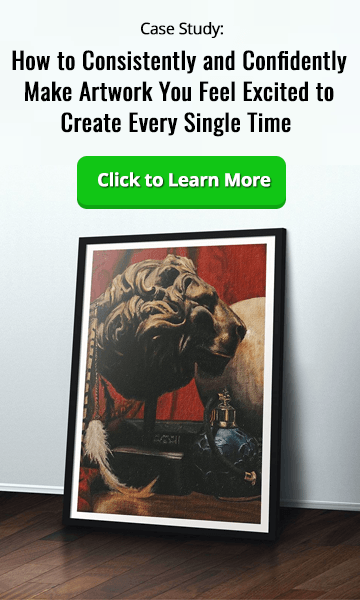 Why did Fran Choose Tumblr to Showcase his Work? After doing some research into the best online platform for his creation, Fran eventually decided to start posting his webcomics regularly on Tumblr. But what made him choose this network above all the others…and how does he even have time to make a webcomic in between teaching and working on other projects? You’ll find out in this chapter. Why is it Good to set Deadlines for Yourself? One of the ways Fran manages to be so productive is by setting deadlines for himself. So, for example, after he’s finished teaching for the day, he’ll sit down for a few hours and dedicate his time to working on Deep Dark Fears and his current associated book project, The Creeps. And, if you want to know how to create a webcomic and find time for your personal projects, you’ll find lots of great advice in this section. Why is it so Important to Love What you do as an Artist? Some artists are unhappy doing the work they get paid to do, but you’ll be relieved to hear there is another way. 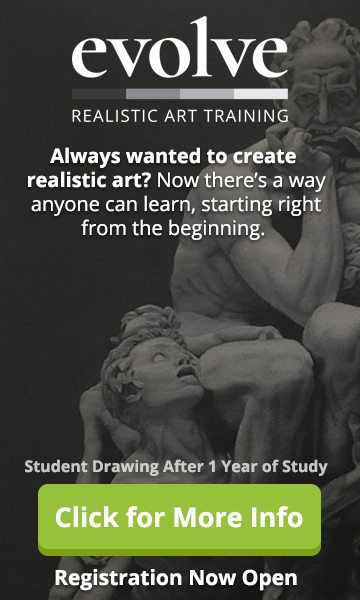 And, in this chapter, Fran shares plenty of advice based on his own experiences with his students to help you create the art you really want to make…and hopefully find an audience who appreciates it. Where can you Find out More About Fran’s Work? Want to find out more about Fran’s work and get your hands on a copy of his new book, The Creeps? All the info you need is in this chapter. Want to know more about how to create a webcomic? Check out this chapter for some great advice from Fran about how to get your project off the ground, how to build up a following for your work online…and how to create something people can really relate to. Mitch wraps up today’s interview with Fran Krause, who offers up some final words of advice on how to make a webcomic people will remember. We hope this week’s interview with Fran Krause has helped you learn more about how to create a webcomic on your own terms and getting it noticed! Perhaps you’ve got some ideas for a webcomic or you’ve already produced one? Tell us more in the comments section below – we’d love to hear from you!